Fact, not rumour. 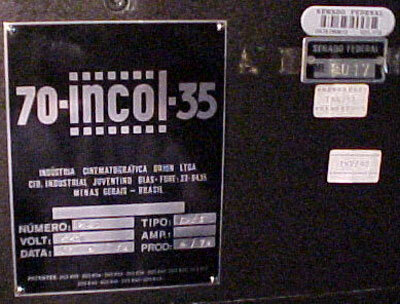 Inchol 35/70 projector made in Brazil. 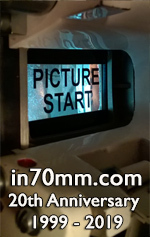 Simular to DP70 in film trap. The company went out of business in the 1980's but Mr Defaria is still alive (and all his sons are in the business in the United States and Brazil ) and parts are still being made by former employees. Inchol made over 1500 projectors, 16mm, 16mm/35mm, 16mm/35mm/70mm and 35/70mm. Our company is planning to remove two of the 35/70 Inchols and replace them with Cinemeccanica in a govenerment installation in Brazil. 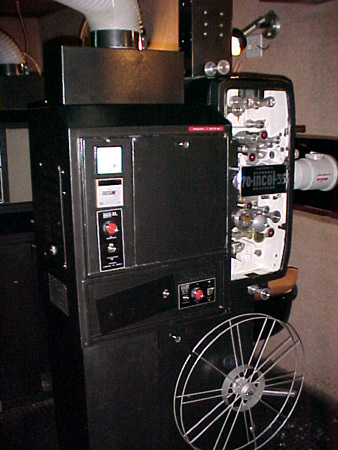 The projectors we are removing are 26 years old and only have 1500 hours of use and are in perfect condition. TVP-Theatre & Video Products Inc. 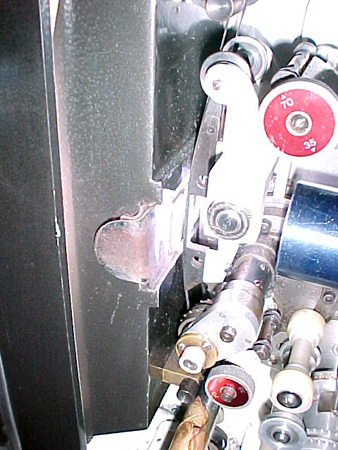 While going through my files, I found photos of the 35-70 mm Inchol which had DP70 type of film gate. This unit has a 2000 watt xenon using a Philips design. This unit shown was built in 1974 and has approximately 300 hours of use and still in operation. It will be replaced shortly with newer equipment. Not shown in the photos is a 16/35mm projector using a common film gate / four lens turret / and separate 16mm + 35mm soundheads. 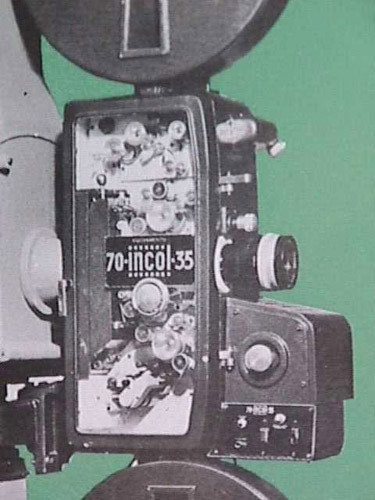 Inchol also made a few 16/35/70mm combo projectors. The company went out of business in the 1980's when import tariffs where lifted in Brazil. present tariff is 77% so it is still a challenge. The former owner, in his late 80's is writing a book and all of his sons are in the business (service in the USA and Brazil, manufacturing and cinema ownership). I am making arrangements to travel to São Paulo next May, in order to see and talk to Orion de Faria. We have been exchanging messages lately. Sadly, he has a severe heart condition with a pace maker installed, but I expect my visit to be in a very positive mood on his behalf, especially that he is quite willing to talk to me about his life as projector manufacturer. I was told by him that when his shop was about to close down, an employee saw a bunch of papers and documents and, assuming that they had no other useful purpose, threw them all away in the bin. Can you believe this? As a result, nothing is left of his manufacturing methods and blue-prints, so most of the information I am bound to get will be by his own words. If only I could get an instructional manual from a third party, I would be fine. I still have hopes, but it is not going to be easy. Orion already told me that he sold around 178 70 mm projectors, but no recollection where they were sent to, which is a pity. Anyhow, I'll keep you posted.